1. High Cholesterol is a major risk factor for Heart Disease or Coronary Artery Disease. 2. High Cholesterol Levels itself do not cause symptoms. But it silently increases the chances of heart attack and stroke. 3. It is very important to get your cholesterol levels checked regularly. 4. A person over the age of 20 years should undergo a Lipid Profile Test every year. 5. Regular exercise helps lower bad (LDL) cholesterol and increase good (HDL) cholesterol. Cholesterol is a waxy fat-like substance produced by the liver, which is found in all the cells of the body. It produces hormones, vitamin D and bile, which helps in digestion. Cholesterol is also present in the food we consume like meat, eggs and milk products. And over-consumption of these food products results in extra production of cholesterol by the liver than required. High cholesterol, also known as hypercholesterolemia, is a major risk factor for heart related health problems i.e. coronary heart disease and stroke. Cholesterol level is the overall cholesterol in the body, including LDL, HDL and triglycerides. The desired cholesterol level increases as you age. In children, the desired level is 170 mg/dL or lower. Whereas in adults, 200 mg/dL and below is desired. 200 – 230 mg/dL is borderline and above 240 mg/dL is considered as high cholesterol. 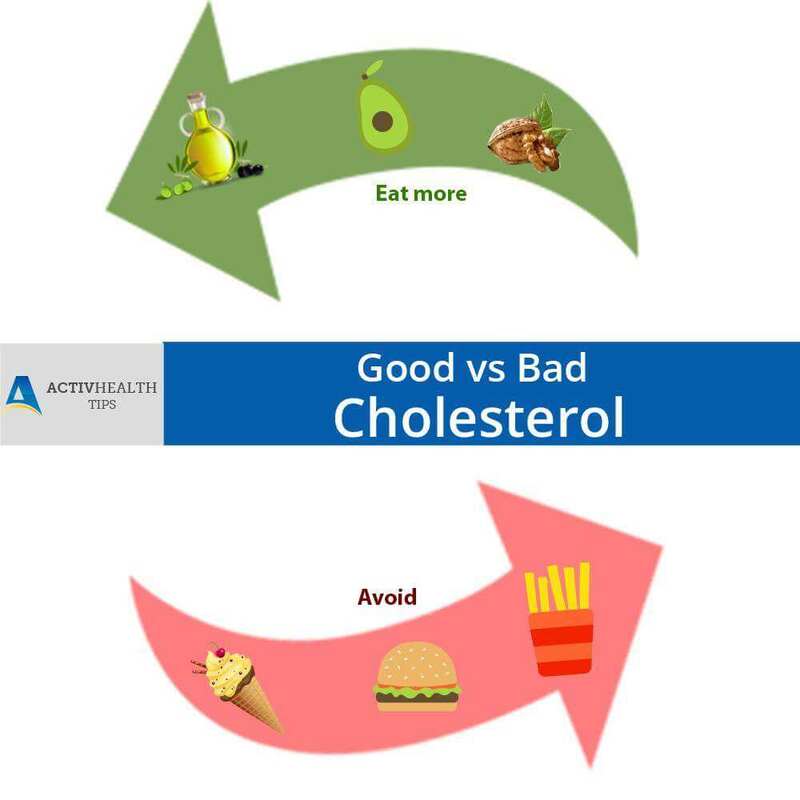 High blood cholesterol increases the risk of arthrosclerosis, Coronary Heart Disease (CHD), angina and heart attack. • Weight management – In order to lower your cholesterol level, it is important for you to manage your weight, BMR and waist measurement. • Physical activities – Is recommended to manage your weight and decreases the risk of heart problems. Regular physical activities for 20 to 30 minutes per day is recommended for all age groups.